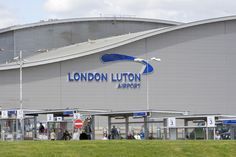 More than 1.3 million passengers flew through London Luton Airport (LLA) in April, representing a 16.1% increase compared with the same month last year. Having enjoyed over three years of continuous growth, LLA is currently making its biggest ever investment to meet soaring passenger demand and grow the airport’s capacity by 50% to 18 million in the next three years. Last week a major milestone was reached with the opening of a new dual carriageway access road making it quicker and easier to reach the terminal. 3,500 tonnes of tarmac were used in its construction and more than 30,000 m³ of earth had to be moved. The construction of the dual carriageway follows the construction of a 1,700 space multi-storey car park and re-designed bus interchange. As part of the redevelopment, LLA is also doubling the current retail space to include 43 exciting new shops and restaurants including some big name brands. Passengers can now enjoy a bite to eat before their flight at the new Bella Italia restaurant or Auntie Anne’s Pretzels. The latest additions will be joined by FRISKA and Benugo this summer and The Smithfield, a 7,000m² pub and restaurant. CarParkInvestments.co.uk has several years experience selling car park investments throughout the UK including Gatwick Manchester & Glasgow call our team now for the latest sites available.